Bring YouTube videos, Google Photos, and more to your magic mirror, with third-party modules and the MagicMirror² open-source software platform. NEW Raspberry Pi Magic Mirror Modules! Today I walk you through two fun modules to add top your Raspberry Pi Magic Mirror! Music in this video was from Epidemic Sound! Green Screen Subscribe Button: Its Frida MAGIC MIRROR Magic Mirror Builder (Michael Teeuw): https://magicmirror.builders/ Magic Mirror Modules in this video: YouTube: https://forum.magicmirror.builders/topic/8481/mmm-iframe-ping Google Photos: https://forum.magicmirror.builders/topic/8437/mmm-googlephotos/18 USB Audio: ROCCAT – Juke Virtual 7.1 USB Stereo Gaming Soundcard Music in this video was from Epidemic Sound. Mention Raspberry Pi to the uninitiated, and they’ll probably ask if it’s “that green thing people use for game emulation and smart mirrors?”. The popularity of magic mirrors has grown massively over the past few years, thanks to how easy it’s become to find cheap displays and great online tutorials. 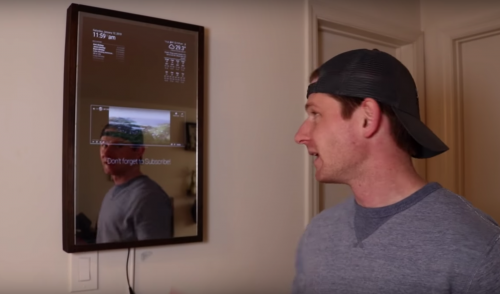 While big-brand smart mirrors cost upwards of a bajillion dollars, a homemade magic mirror costs pennies in comparison. The basic homemade model consists of a screen (usually an old computer monitor or flatscreen TV), a piece of two-way mirrored acrylic or glass, a frame, and a Raspberry Pi. Once it’s set up, you have yourself both a mirror and a notification board complete with calendar events, memos, and more. The software most people use for setting up their magic mirror is MagicMirror², a free, group-maintained open-source platform created by Michael Teeuw. 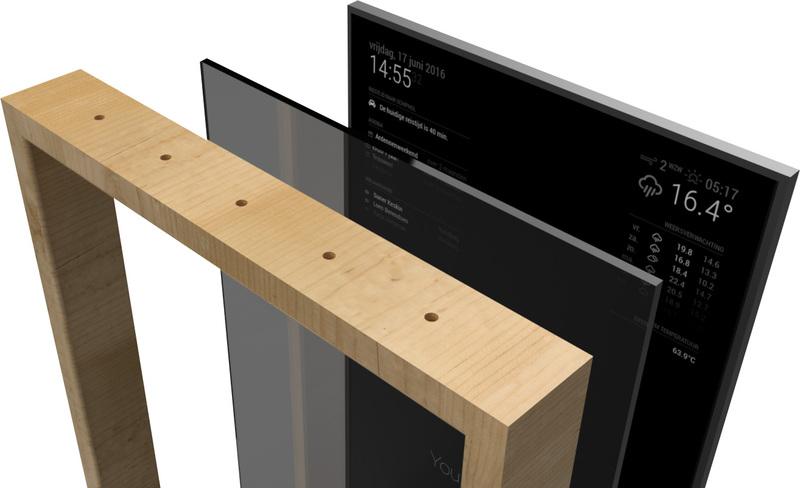 The modular nature of MagicMirror² lets third-party developers easily bring their own ideas to the platform. As Brian Cotter explains in the video above, he used AgP42’s MMM-iFrame-Ping and eouia’s MMM-GooglePhotos to integrate YouTube videos and photographs into his magic mirror. And of course that’s not all! Other magic mirror add-ons let you implement 3D gesture detection or display international currency values, Google Fit totals, and more. Find a whole host of such third-party add-ons in this GitHub wiki. Looking for more Raspberry Pi videos from Brian? Check out his Raspberry Pi playlist and be sure, as always, to subscribe to his channel. Inside My Raspberry Pi Magic Mirror! Checkout this inside look of my Rasberry Pi Magic Mirror build! Magic Mirror Builder (Michael Teeuw): https://magicmirror.builders/ Two-Way Mirror: https://www.tapplastics.com/ Monitor: https://amzn.to/2EusyhQ Raspberry Pi: https://www.raspberrypi.org/products/… Music Credit: Ikson – Paradise New Here? Follow Me Instagram: https://www.instagram.com/techcoderun/ Twitter: https://twitter.com/bfcotter Hi! My name is Brian Cotter and I live in New York City. We’re forever grateful to all the content creators who make videos of their Raspberry Pi projects. If you have your own, be sure to let us know the link in the comments! Mirror mirror on the wall, who makes the best tiny computer of all? Thank you so much for showcasing my Raspberry Pi build! The Raspberry Pi has been such an incredible learning tool for me! Where (on the internet) can I get info about 3rd party modules and information for a Magic Mirror experiment. Information eg can Magic Mirror displays be distributed in one company office (on one wifi/lan network) AND over multiple wan’s (wide are networks)?